For anyone who has visited our Riverside Park, you might recognise Edith the Rhinoceros! 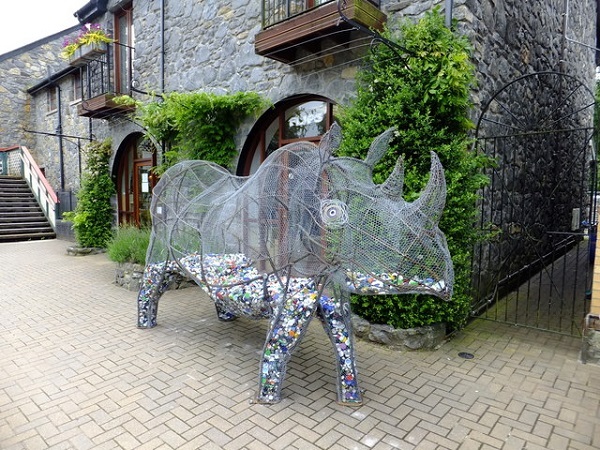 Edith, the wire sculpture stands on Betws-y-Coed’s station platform and is being filled by discarded container tops of various colours, shapes and sizes, collected in aid of Rhinos around the world. The Rhino has been set up as a community art project by Jacha, a political conservation artist, originally from South Africa. 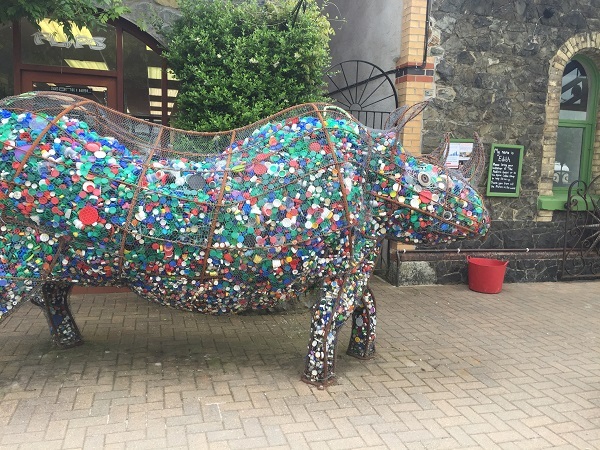 The project has so far, been a huge success with both locals and visitors; a lot of them from our Riverside Touring Park collect bottle tops at home and bring them along on their next visit! Jacha is is now based in Betws-y-Coed where he has opened up his own art gallery, Platform Galeri, in the basement of the railway station at Betws-y-Coed. He uses Edith to raise awareness of Rhino poaching and the fact at least one is killed every day for its horn. Jacha also does a lot of work helping to educate the generations on palm oil, Orangutans and the rainforest through talks and throughout his artwork. His café is one of the most popular in North Wales and sells a wide range of drinks and homemade, palm-oil free, fair-trade and free range food. Not one to miss! Shropshire, the UK's Most Haunted County?